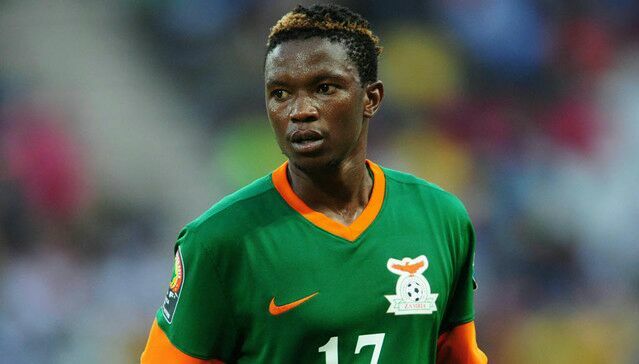 Zambia captain Rainford Kalaba insists the Chipolopolo have respect but no fear for their opponents in Sunday's Russia 2018 World Cup qualifying fixture, the Super Eagles of Nigeria. Both sides will clash in their opening group fixture at the Levy Nasarawa Stadium in Ndola. The Super Eagles have a slight edge over their opponents with players like captain Mikel Obi, Alex Iwobi, Kelechi Iheanacho and Ahmed Musa playing for top European clubs. But Kalaba who plays for Congo Democratic Republic side TP Mazembe is confident they can beat the three-time African champions. "We have respect for them (the Super Eagles) but football is played on the pitch," Kalaba told reporters ahead of the game in Ndola. "They were once champions and we were once champions. The 90 minutes will decide the outcome of the game." The match will kick off at 2.30pm local time, 1.30 pm Nigerian time.